We stay on B udget. We are Battling for E xcellence. 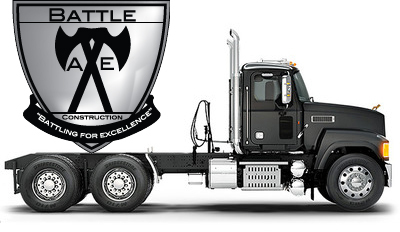 S afety is our 1# Objective. We finish projects on T ime. 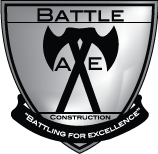 Battle Axe Construction LLC is a specialty contractor who provides site development, demolition, commercial landscaping, clearing/grubbing services & more. We are 100% committed to excellence in delivery, attention to detail and cohesiveness of partnering to achieve projected goals and top quality projects.